NASA has invented a new type of autonomous space navigation that could see human-made spacecraft heading into the far reaches of the Solar System, and even farther - by using pulsars as guide stars. It's called Station Explorer for X-ray Timing and Navigation Technology, or SEXTANT (named after an 18th century nautical navigation instrument), and it uses X-ray technology to see millisecond pulsars, using them much like a GPS uses satellites. 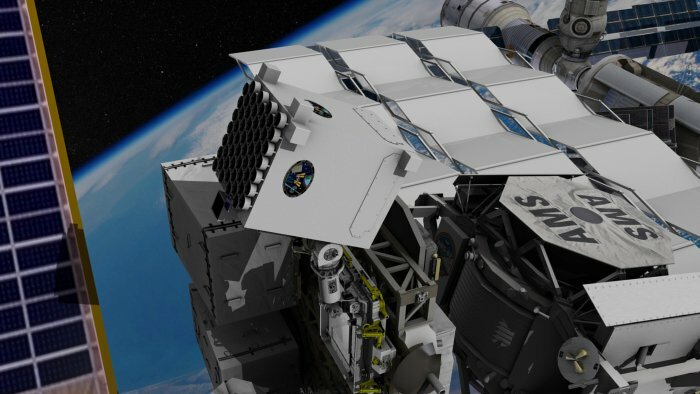 "This demonstration is a breakthrough for future deep space exploration," said SEXTANT project manager Jason Mitchell of NASA's Goddard Space Flight Center. "As the first to demonstrate X-ray navigation fully autonomously and in real-time in space, we are now leading the way." Pulsars are highly magnetised, rapidly rotating neutron stars - the result of a massive star's core collapsing and subsequently exploding. As they spin, they emit electromagnetic radiation. If an observer is in the right position, they can appear as sweeping beams, like a cosmic lighthouse. They're also extraordinarily regular - in the case of some millisecond pulsars, which can spin hundreds of times a second, their regularity can rival that of atomic clocks. This is what led to the idea behind SEXTANT. Because these pulsars are so regular, and because they're fixed in position in the cosmos, they can be used in the same way that a global positioning system uses atomic clocks. SEXTANT works like a GPS receiver getting signals from at least three GPS satellites, all of which are equipped with atomic clocks. The receiver measures the time delay from each satellite and converts this into spatial coordinates. The electromagnetic radiation beaming from pulsars is most visible in the X-ray spectrum, which is why NASA's engineers chose to employ X-ray detection in SEXTANT. Over two days, NICER took 78 measurements of these pulsars, which were fed into SEXTANT. SEXTANT then used these measurements to calculate the position of NICER in its orbit around Earth on the International Space Station.This information was compared to GPS data, with the goal being to locate NICER within a 10-mile (16 km) radius. Within eight hours, the system had calculated NICER's position, and it remained below the 10-mile threshold for the remainder of the experiment. It could take a few years for the technology to be developed into a navigation system suitable for deep-space vessels, but the concept has been proven. Now the team is rolling up their sleeves to refine it. They will be updating and fine-tuning its software in preparation for another experiment in the second half of 2018. They also hope to reduce the size, weight, and power requirements of the hardware. "This successful demonstration firmly establishes the viability of X-ray pulsar navigation as a new autonomous navigation capability," Mitchell said. "We have shown that a mature version of this technology could enhance deep-space exploration anywhere within the solar system and beyond.